Cris and Beto live in the heart of the historic San Telmo neighborhood, in the center of Buenos Aires city. Cris is a food scientist by day and wine fanatic by night and Beto is an accountant by day and culinary student by night. Cris and Beto both learned to cook from their parents and grandparents and their coastal upbringing has greatly influenced their cooking. Cris loves the science behind baking and it shows in the delicious desserts she prepares! Apart from cooking and baking, Cris and Beto love traveling and are excited to share with travelers both the flavors of their land and their traditional recipes! In-home meal: (1-4 guests) Join Cris and Beto in their central, modest apartment located in San Telmo for a traditional Argentinean meal. Their apartment is small and simple, but well decorated with travel memorabilia and influences from their childhood homes. Beto grew up in Corrientes in Bella Vista near the Paraná River and Cris learned to bake pastries from her grandmother and mother while growing up in Mar del Plata. They would like to introduce you to the flavors from these cities they grew up, studied and lived in. Expect your menu to includes ingredients and dishes from of the North, Litoral (East), Cuyo (West), Central and Patagonia, the 5 regions of Argentina. A few dishes that you may try are a tasting of different cheeses and cured meat from Patagonia and Central, empanadas, bifes a la criolla (beef steaks cooked with vegetables) or bife de chorizo with salad of seasons vegetables, and a tasting of differents desserts: pasta frola (a typical cake with quince jam), a coconut and dulce de leche cake or papaya jam with cheese (from Litoral) and alcayota jam (a kind of squash) served with nuts (from Cuyo). The dishes will be accompanied by wines from different argentine regions (North and Cuyo). Cooking experience: (1-2 guests) Cris and Beto have a very small kitchen, so most of the prep work will be done at the dining table and kitchen will be used only for the final cooking. In your 1 hour class, you will learn to prepare two dishes, bifes a la criolla (beef steaks cooked with vegetables) and a coconut and dulce de leche cake. This will be a combination of a demonstration and a hands-on class, due to the space constraints. The prep work at the dining table will be hands-on while the final cooking in the kitchen will be a demo, where you will watch them put the final touches to the dish. Market visit: (1-2 guests) Meet Cris and Beto at their apartment and then walk for 5-10 minutes to the San Telmo market, built in 1897. You will walk around this large indoor market which has stalls offering everything from antiques to fresh fruit and spices, for 1 hour. Cris and Beto will show you the shops from where they buy ingredients and will explain more about how it is used in Argentinean cooking. After you buy a few ingredients for your cooking class, walk back to Cris and Beto’s apartment for your cooking class and meal. Notes: Cris and beto can offer a vegetarian meal on request. Also please note 1-2 glasses of wine is included in the price of the experience. Please indicate in the booking form if there are any dishes you are especially excited to taste and Cris and Beto are happy to cook that for you. Cris and Beto were so kind and welcoming. 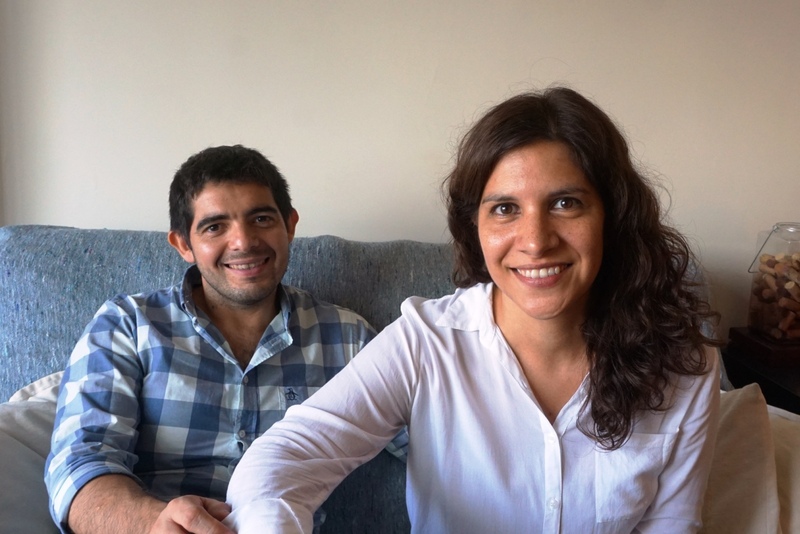 They are a honest, hardworking couple living in the heart of San Telmo where you can see the growth of the neighborhood by looking out the window. With plenty of appetizers, delicious wine and a main course, there is plenty of food. Some of it is better than others, but you will definitely see a lot of variety. They really save the best for last with delicious desserts that Cris learned from her grandparents. The desserts were DELICIOUS - definitely a highlight! Walk off the lunch with a stroll through San Telmo market and get local suggestions on what to eat and where to buy the freshest ingredients!